Ile Fourchue is a very small Island between St. Martin and St. Barths, belonging and closer to the latter. It has largely been denuded of vegetation by the islands only residents: goats. 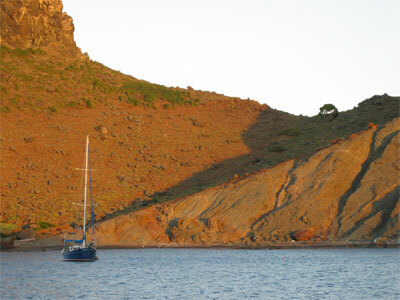 It has a wonderfully protected anchorage which is encircled by the arms of what appears to be a collapsed caldera. 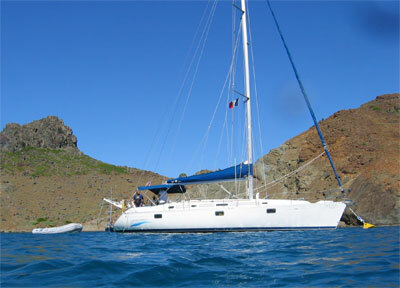 There are mooring balls provided free by the French and a small stony beach where you can go ashore. 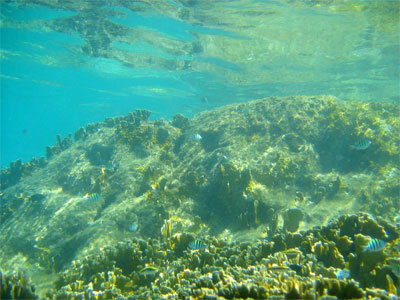 The snorkeling is spectacular.